This February, officials within the city of Oakland are expected to grant permits to four new pot shops, doubling the number of dispensaries in the city. The city’s motivation behind granting the permits is partially finance-related. Oakland receives $60,000 in payment from each dispensary that the city grants a permit. Additionally, the city receives a five percent tax on the business each year. Oakland rakes in nearly $1 million annually from marijuana dispensaries. And California as a whole makes more than 100 times that amount each year from such taxes. Some local government officials are in favor of the new shops. “…The reality is that if we go ahead and issue the permits and make sure they (the dispensaries) are managed well, follow the rules and don’t become a nuisance to their neighbors, that is in the public’s interest,” Oakland City Councilman Ignacio De La Fuente said to the San Francisco Chronicle. Meanwhile, federal authorities continue the cannabis crackdown which is credited with eliminating more than 200 pot dispensaries throughout the state since fall 2011. Na, we should just continue to allow the drug cartels to sell us our pot, we don’t need to hike in safe wilderness and public land it’s much more exciting to play bet your life with cartel growers. We don’t need extra taxes, our state is rolling in $$$. The war on drugs has been so successful, hardly anyone smokes the stuff. Obama, I like you, I’m going to vote for you but please find new campaign donors, get big pharma out of your pocket. Stop letting them run the show. Until we stop big corp lobbying/campaign financing on both sides then we will always have issues like this, whether it’s the oil companies and banks in the repubs pockets or the pharma corps in the pockets of the dems this has to stop. This (real) reefer madness madness is 100% the fault of the pharmaceutical companies. They’re not in his pocket… he IS their pocket. Never has someone taken so much from such “big, evil corporations” as Obama. That’s simply not true. He’s taken less than others, perhaps I’ll Google it and provide a link later when I have time. But it doesn’t matter, it’s wrong on both sides. Good one Typo. It is wrong. Corporations should not be able to lobby at all as it creates an un-level playing field. However, Obama did lie when he said he would not get federal resources involved in states decisions, ie prop 215. Under his watch, DEA raids have been almost 2x as much more than Bush in the same amount of time. He deceived the voters with his bs just to get elected. Therefore, I crown him a lying, deceiving politician. Although, aren’t they all? Ron Paul!!! Actually most of Obama’s donors are from small donors as opposed to Repubs who for the most part receive their donations from big corps. Don’t get me wrong though Obama and all of them,,right and left get too much money from big corps and it’s wrong. I think it should just be legalized period. Let me grow my own dope if I wish. We do not need a nanny state telling us what to do or not do, we can actually figure that out by ourselves! If one does not want to smoke pot, then one does not. If one does want to smoke pot, then one does. Keep the “under the influence” laws on the books (expanded for pot), and we’re golden. I really wish that Obama would focus on other issues “like he promised” instead of wasting federal resources on medical marijuana. This is a government by the people and for the people. The people have spoken. The feds won’t listen. This is government corruption at its finest. Our forefathers would be rolling in their graves if they knew the fed was going to push the states around. Obama might as well burn our Constitution as it means crap to him. This isn’t to say the republicans are any better. I think wasting fed resources in this manner is a good political move for Obama. There’s the distinct possibility that it might buy him some conservative votes. And it doesn’t cost him anything, as the liberals are not going jump ship and vote for Romney. I don’t like it either, but I see how it makes political sense. God forbid if it makes MEDCIAL SENSE! Leave the politics out of pain relief! It is a health issue and for too long we have let law enforcement and federal bureaucrats decide policy. 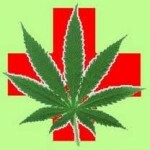 It has been proven without a doubt that medical “Mary Jane” helps with certain kinds of pain! Do you want to deny certain individuals the relief of pain because they have become immune to their prescription drugs because of taking them for so long?! Yes, the people have spoken, and more so than not they want it either legalized or used for medical reaons! The board of trustees of the California Medical Association, the largest physician group in California, adopted the policy unanimously at its meeting in Sacramento, to use it MEDICALLY to elinimate pain! What a terrible concept! Ted, I am a mmj patient so remember that when you read my posts. But come on Ted, where is the scripture on “God said use my plants and such”. I need a refresher. I am not trying to be critical of you as we have had our blog wars. racket, well stated. What is the real downside to the Obama’s Administrations push to go after the landlords of the buildings the dispensaries are located? Yeah, us liberals are pissed, those that push for a Constitutional interpretation of state’s rights feel like we’re getting pushed around, and the “law-and-order” crowd see that this administration is not “rolling over” to its liberal base, so like you stated, it makes political sense. That doesn’t make it any easier to accept however. Unfortunate.